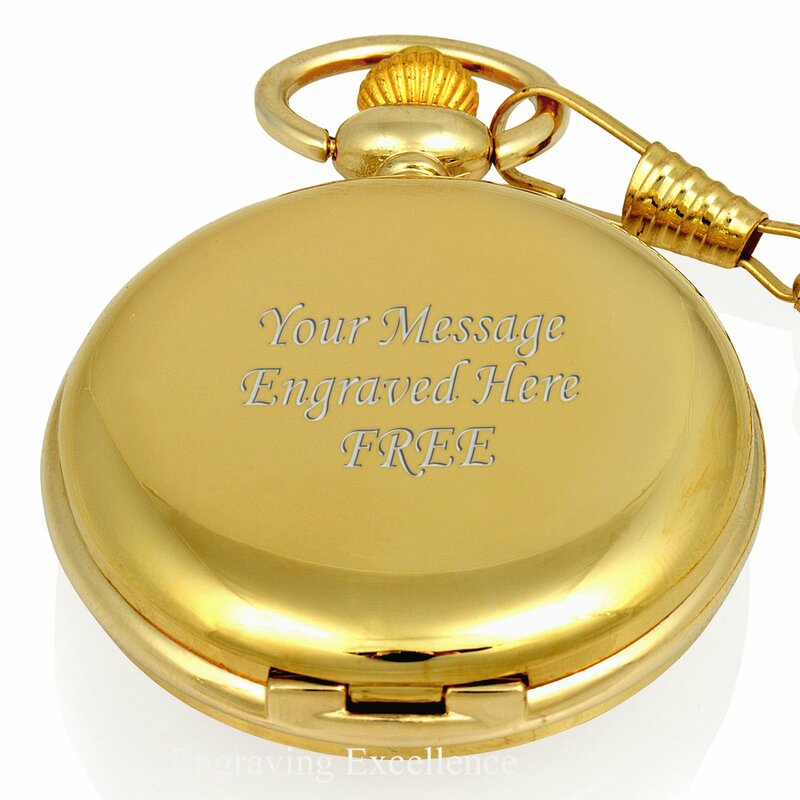 There is an additional charge of £1.95 to engrave this side. 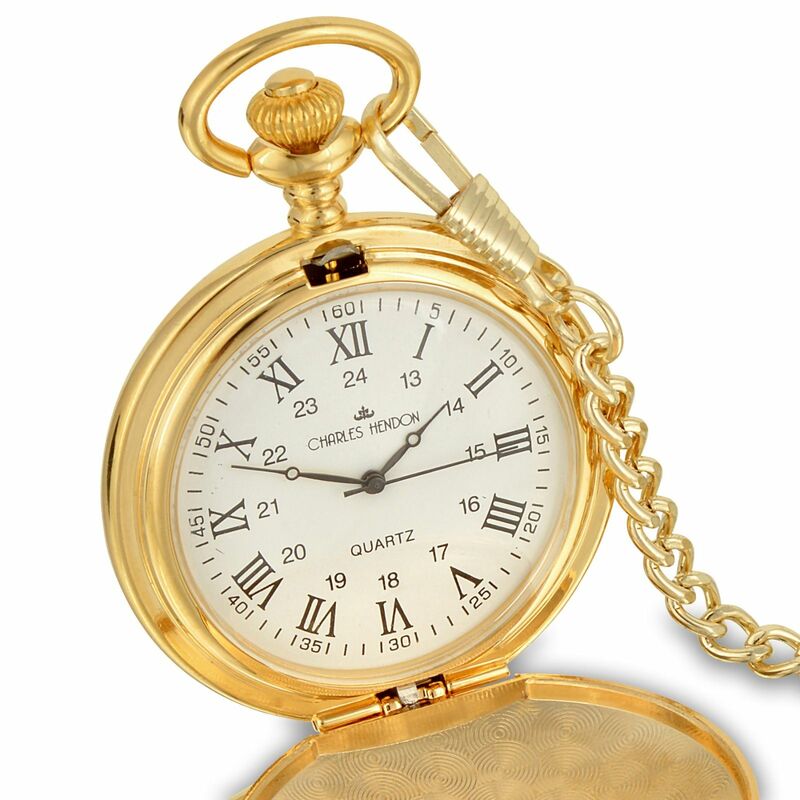 This gold colour pocket watch features a lovely Roman numeral style dial face. 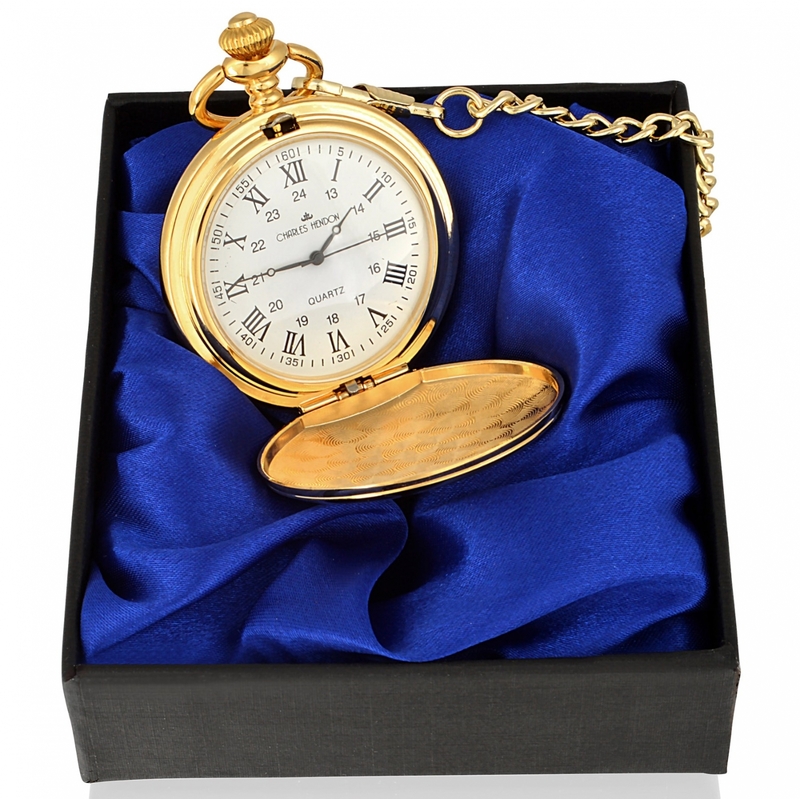 It will make an excellent present for any occasion but is particularly popular as wedding gifts.